Transportation minister says project will proceed without requested comparison of subway to LRT. TTC subway cars on the Yonge Line. The city is moving forward on a plan to bring the subway to Scarborough. But critics say it will be too expensive. Community groups, environmental activists and more than 500 residents are calling on Premier Kathleen Wynne to properly study a subway extension in Scarborough in a letter sent to her office Monday. “We need the province to step in and do this study comparing a one-stop subway with the LRT because Torontonians deserve to know which is the best public transit option for our city and for Scarborough,” Brenda Thompson, a member of the advocacy group Scarborough Transit Action, said in a joint press release including umbrella organization TTCriders. But at Queen’s Park on Monday, Transportation Minister Steven Del Duca said the province has no plans to order a comparison. Last month, city council rejected a motion from Councillor Josh Matlow to do a business case analysis of the one-stop extension to the Scarborough Town Centre compared to the originally-proposed, seven-stop LRT that would have been fully funded by the province. That comparison, top city officials say, has never been undertaken despite council’s about-face in 2013 or recent changes to the subway plan. 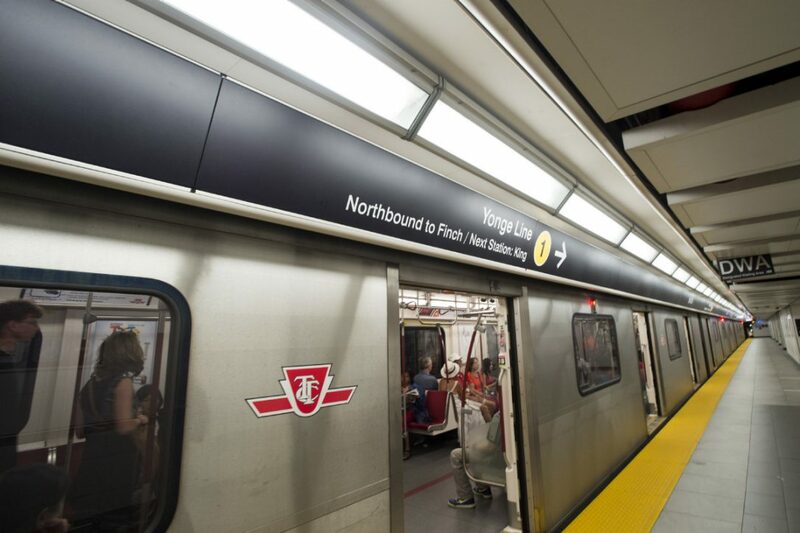 The six-kilometre subway, which is estimated to cost at least $3.35 billion, would eventually replace the aging Scarborough RT. It would be finished in 2026 at the earliest. “The minister has the right to initiate a provincial study if there’s a feeling there’s a negative impact environmentally and especially in relation to greenhouse gas emissions,” Thompson told the Star, referencing the provincial guide for the required assessments of transit projects — a process that is now underway. Under the McGuinty Liberal government, the environmental assessment process was streamlined for transit projects. In doing so, the province removed the requirement to consider potential alternatives to a project, something that was criticized by the Environmental Commissioner of Ontario, a provincial watchdog. "A requirement to consider 'alternatives' is still in the public interest, particularly when various transit options have differing impacts, socially, economically and environmentally," the commissioner's office wrote in a 2009 annual report. "A careful weighing of alternatives, with public scrutiny, can lead to better overall outcomes and a wiser use of scarce public resources." The letter cites a new study from University of Cambridge and University of Toronto researchers, including Miller, that looked at how rail transit projects contribute to a city’s greenhouse gas emissions. It specifically looked at the case of the Sheppard subway and found that it would take 11 to 35 years to offset the greenhouse gas emissions made to build the subway. Greenhouse gas emissions from building rail can be offset in part by residents taking transit instead of driving and by encouraging residential development around transit stations, the study outlined. The letter to Wynne and Murray notes the Scarborough subway extension is only expected to carry 7,300 people during the rush hour in the busiest direction — which is less than half the capacity of an LRT and would leave the subway extension 80 per cent empty during rush hour. By adding instead of removing access to rapid stations, the LRT would “encourage more dense development along its stops, more jobs and greater walkability,” the letter also says. Environmental concerns form part of a list of issues with the controversial subway plan, the letter notes, include rising costs that have already priced out a 17-stop LRT along Eglinton Ave. East promised by Tory. Councillor Glenn De Baeremaeker (Ward 38 Scarborough Centre), who has pushed to build a subway at council and has long been an environmental advocate, said he believes a majority of Scarborough residents still want a subway. Councillor Matlow said if proponents of the subway are so confident the subway is the right choice, they should have nothing to fear from a study.